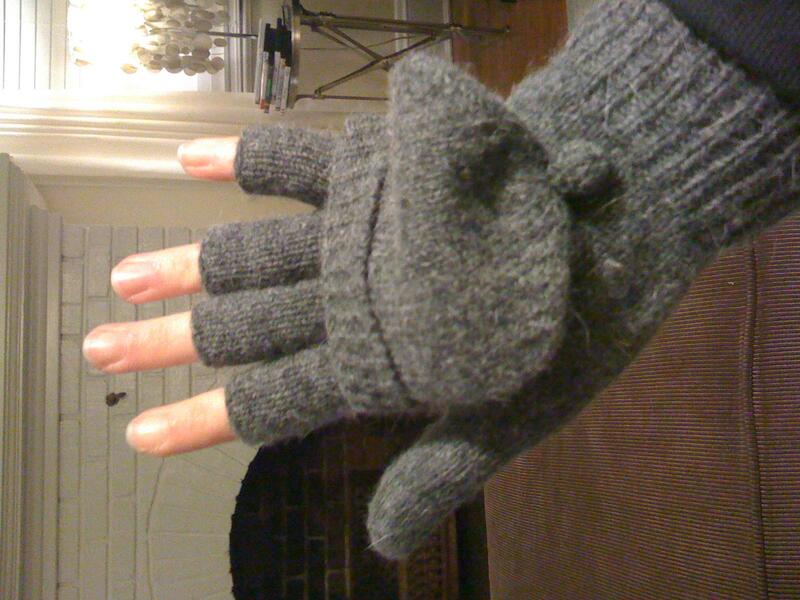 Transformer Mittens | Small, but valuable. 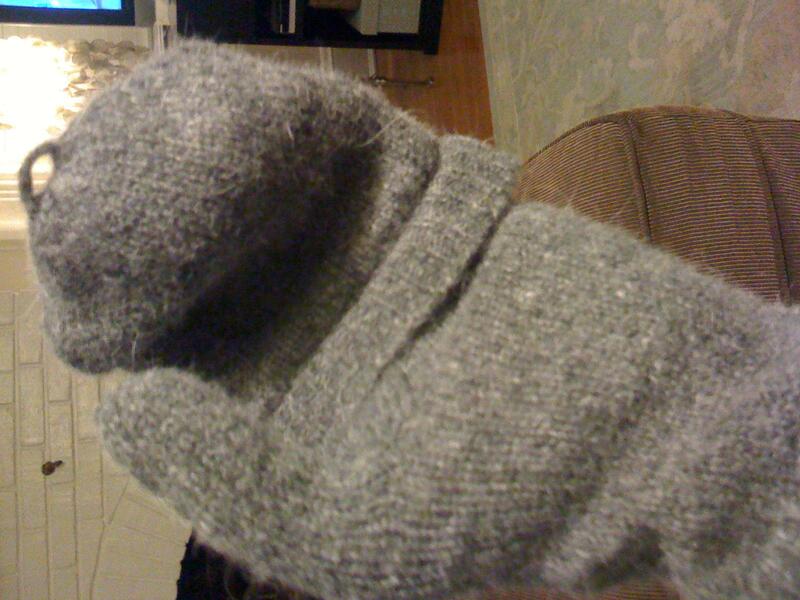 This Christmas, I was the lucky recipient of a pair of grey “fingerless pop top gloves.” That’s what they’re officially called in the catalog, so I take no responsibility for the weirdness of the phrase “pop top gloves.” I call them transformer mittens. Much more to my liking. Here’s why they’re so fabulous. 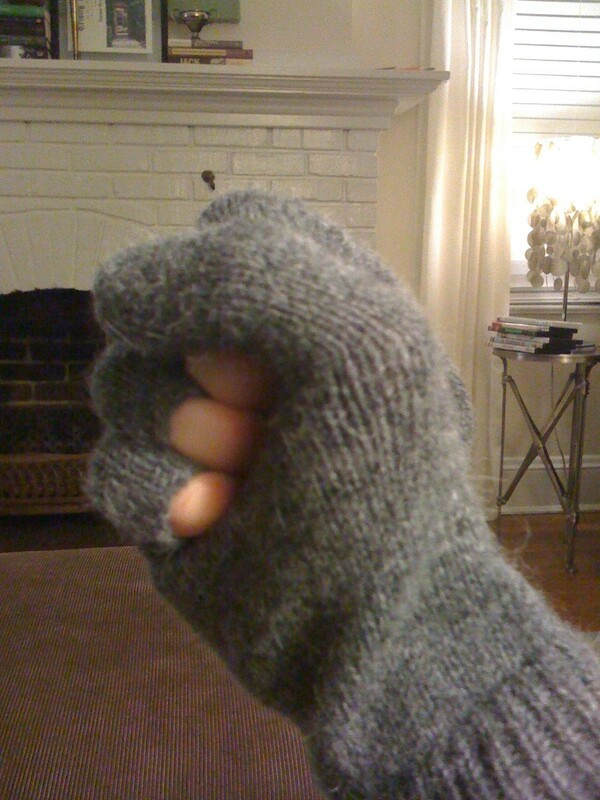 I can now walk down the street with my hands warmly mittened. They could make snowballs or just look incredibly cute and cozy. OR I could pop the top and the very same hands could turn into menacing fists. Wow! What other glove allows so much flexibility? Okay, granted, I don’t have much need for snowball-making mittens or fingerless biker gloves, but how great to be able to pull either one off in the same article of clothing?! Sometimes I’m a girly girl (I like to wear the occasional ribbon in my hair, and I giggle if I get really cold), sometimes I’m not (burping really loudly makes me inordinately happy… sorry for admitting that in a public setting, parents). These gloves are the only gloves I’ve ever seen that can work perfectly for me at all times. They’re grey wool, so how menacing can they really be? And they’re not quite full-on little kid mittens. Perfection. Smash bang ending for the post? Deeper meaning behind silly drivel? There isn’t any. I just wanted to revel in the greatest cold weather accessory ever, that’s all.